Susan Connelly McClelland is a native of Western North Carolina. She has a Bachelor of Fine Arts from East Carolina University, Greenville, NC (1982). Since 1984 she has been involved with the High Point Furniture Market as a showroom designer. 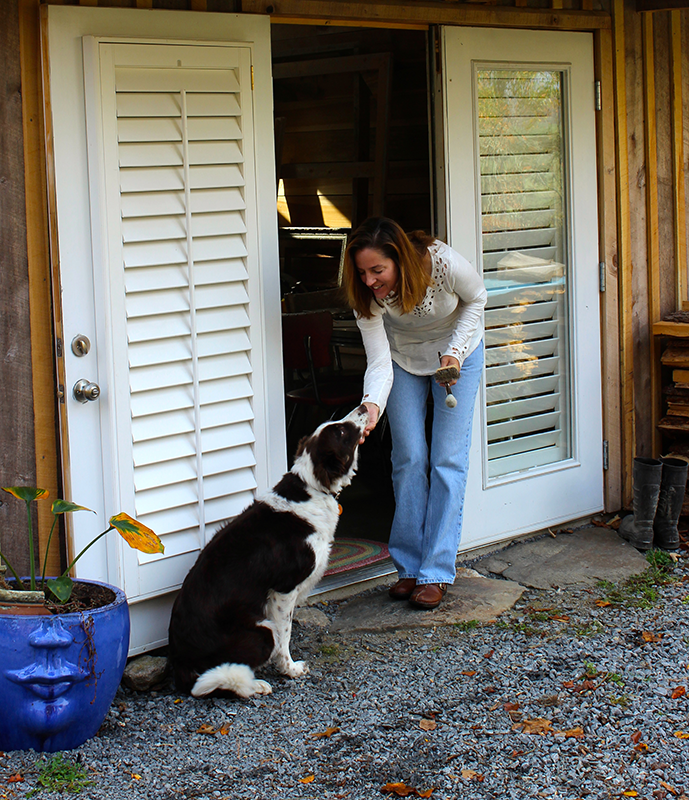 She was a professional Faux Painter for 25 years and has completed countless projects both residential and commercial. Her fairly recent switch to fine art originals was a natural progression and her faux finishing experience is reflected in her style of work . Susan’s work was selected for the Jonesborough Juried Art Exhibitions 2018 and 2017 at the McKinney Center in Jonesborough, TN and the 2018 and 2017 WomensFund shows. Her work has also been shown at The FRAG Art Shows in Kingsport, TN, Weigand Fine Art Gallery in Galax, VA, The Warehouse in Hickory, NC, NewZart in Marshall, NC, Nelsons Fine Art in Johnson City, TN and the Weaverville Fine Arts Festival in Weaverville, NC. Susan has completed numerous commission pieces for designers in Sea Grove Beach, FL, Berkeley, CA and locally. You can currently find her work at Cindy Saadeh Fine Art Gallery in Kingsport, TN and The Birthplace of Country Music Museum in Bristol, VA. She is a member of Holston Mountain Artisans. Susan specializes in Abstract Fine Art. 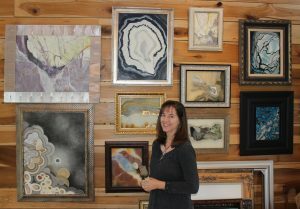 She uses Mixed Media, 3-D sculpture or Encaustics to reflect the beauty found in gemstones, minerals and local landscapes.